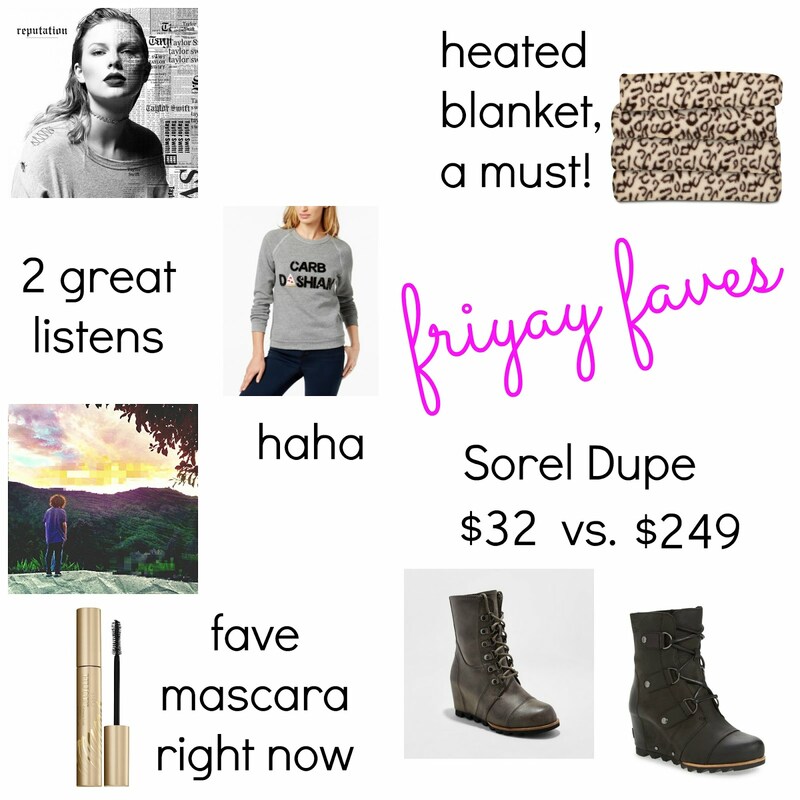 Let's start with these Sorel dupes from Target. I mean?! What else can be said? Stila Huge lash mascara is my new go-to mascara. I had people asking me on Instagram what I use, so I did an instastory on it this week. Taylor Swift's new album is amazeballs. Although I don't consider myself a HUGE fan, I am usually a HUGE fan of her musical talent. Each song is a great listen and catchy. I guess that makes me a huge fan?! Justin Jay's new album, "Home", is something new I'm into. A friend recently recommended that I listen to it, and totes glad I did. It's a little bit electronic, a little bit dance, a little breakbeat...a little bit soothing? Whatever it is, it's worth a listen. With temps dropping everywhere, I survive the cold with heated blankets. There is nothing better than being snuggled in a heated blanket while watching television, playing on your phone or whatever it is you do. exact: top | pants It's time to pay some homage to one of the summer trends of 2017..